After falling asleep in the third quarter, Splash Brothers woke up with a steadfast fourth quarter run in time to pull out a thrilling one point, 79-78, Saturday night victory over West Gunners, to sweep the Hon. Fraser Save The Seed Basketball League Championships Series. 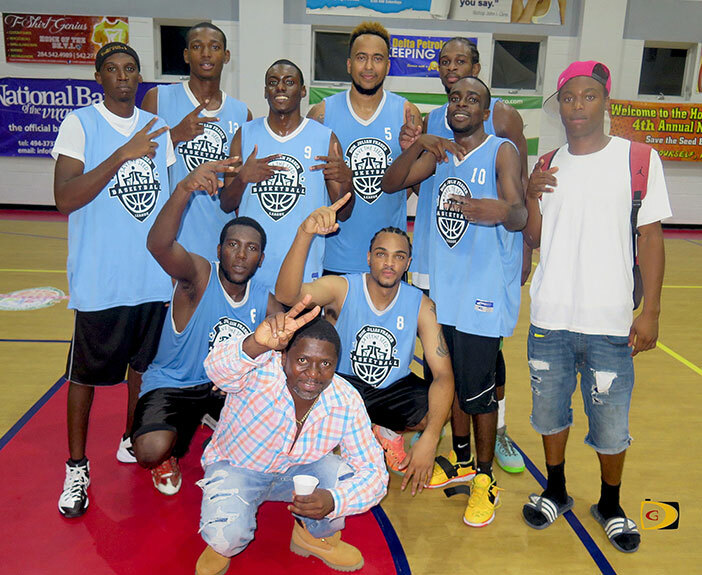 Splash Brothers’ triumph also denied West Gunners from becoming the four-year old league’s first repeat champion. The series was a rematch from last year. West Gunners ran off 15 unanswered points before outscoring the Splash Brothers 17-6 in the third quarter. But, Splash Brothers began a run of their own to start the fourth quarter. They pulled within 72-70, with under three minutes left, then took a brief 76-75 lead with 28.1 seconds on the clock, before going on and sealing the victory. Splash Brothers coach Joseph Dagou said the referees did a good job and he’s pleased with his team’s performance, after getting a game high 27 points from Abrey Daniel, 19 from Steve Parillon and another 17 from Ashield Frett. He said after West Gunners built a 64-51 to end the third quarter, he told them to slow down the game, which hadn’t gone anywhere and go through eventual MVP Parillon who’s a veteran player.